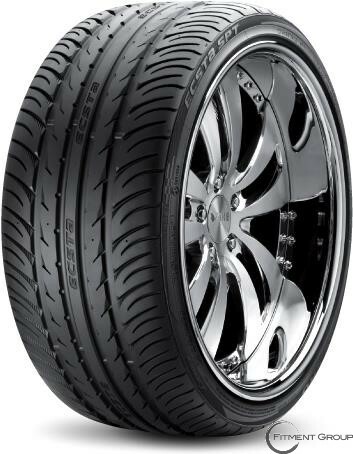 The Ecsta SPT is the ideal tire for the sports car owner on a budget and sedan owners looking for a sportier feel or plus-sized fitments. The directional tread design provides excellent water drainage with intermediate and center rib blocks that deliver steering response and ride comfort. The silica tread compound delivers excellent wet and dry traction under normal or high-performance driving. 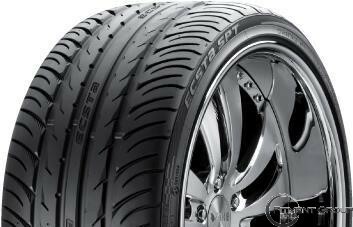 The Ecsta SPT is available in staggered fitments and also features Kumho Tire's XRP -- Extended Run-Flat Technology. - High dispersion silica expands compound performance for superior wet grip and better tread wear with excellent fuel efficiency. - Race-proven carcass design with jointless cap plies, wide steel belts, ESCOT carcass profile and high durometer apex delivers razor sharp response and extreme grip without compromising ride quality. - Three wide circumferential grooves optimize water evacuation in footprint. 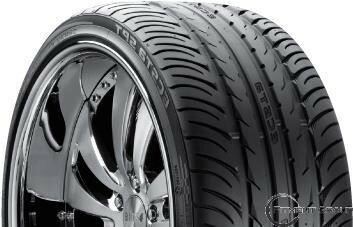 - Triple-tread radius optimizes footprint shape for even pressure distribution. - Shoulder blocks tilted into direction of travel to improve grip and reduce worn-tire noise. 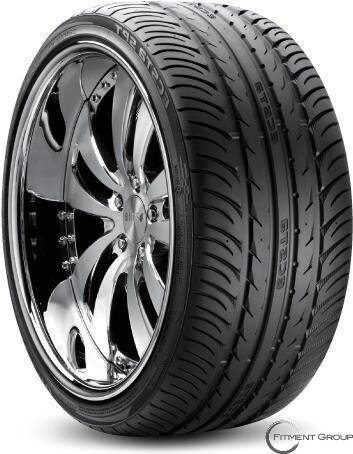 - Rim protector in lower sidewall safeguards wheel against scratches and abrasions. - Comes in a variety of run-flat sizes. - UTQG rating of 340 AA/A for H and V speed ratings. For W and Y speed ratings, the UTQG is 320 AA/A. Ordered on the 20th. Received on the 26th. Parts installed within half an hour of receiving them. No complaints and I'm very happy with the transaction. Would purchase from Autoplicity again.